A travel toothbrush that comes complete with plastic box and toothpaste. There's nothing worse than arriving at your destination after a long flight and realising you forgot a toothbrush. 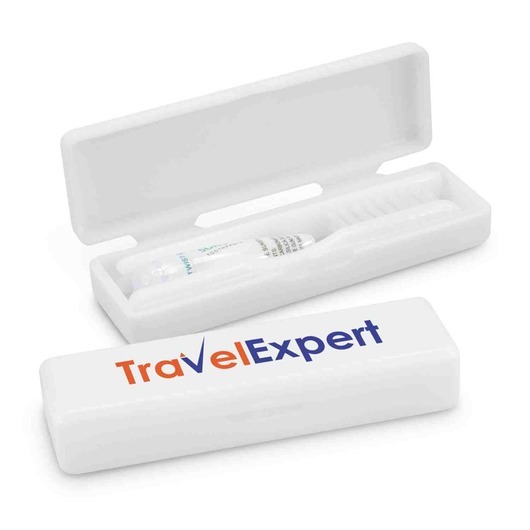 Well these handy travel toothbrushes come in their own plastic box complete with toothpaste. Allowing you to have clean, fresh breath and feel refreshed. They also offer a large flat area to promote your logo!